A pimple, which is also known as Acne, zit or spot, is a type of skin condition and one of the many results of excess oil getting trapped in the pores – according to Wikipedia. These pimples can be a pain when it appears on your face, and you may always feel triggered to pick, puncture, pop, or press the spots. And when you pop it, it leaves an irritating black spot on your face. Pimples are most likely to occur around puberty, but they can also occur at any age. 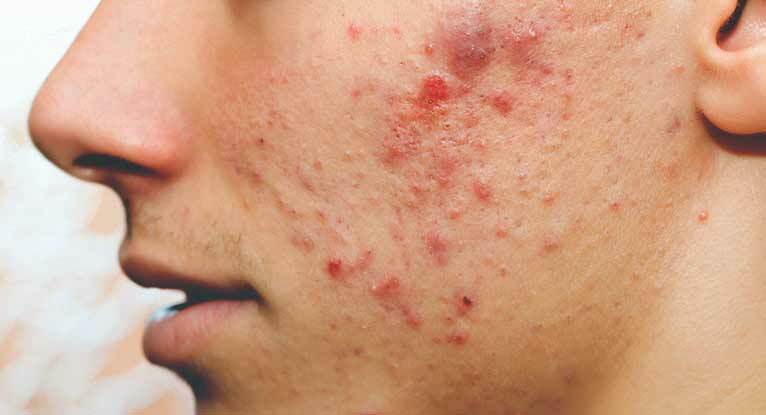 The factors that can trigger an existing case of acne are hormones. This hormone is known as Androgens, and it increases in boys and girls during puberty and causes the sebaceous glands to enlarge and make more sebum. Also, hormonal changes related to pregnancy and the use of oral contraceptives also can affect sebum production. What is inside of a pimple? When you pop the pimple's outer skin, the pus oozes out. If the bacteria in that pus splatter and spread to other pores, it can lead to more pimples. Another risk associated with poking, picking, pricking, and prodding a pimple is that you can force the debris and bacteria even deeper into your skin. Some persons have pimples on their face and forehead in large numbers, and it makes the face unpleasant. 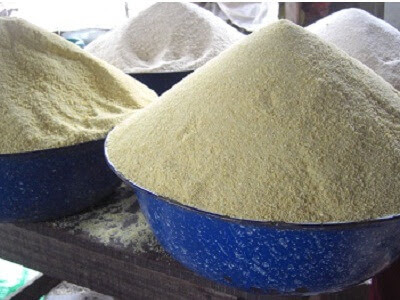 It can leave you worried so much that you want to get rid of a pimple naturally in one day. There are several tips to remove pimples naturally. Pimples treatment is one of the main causes of visits to dermatologists these days. Some people can remove acne and ugly marks on their face easily with the use of some ointment. However, this all comes with a chance of a side effect. People ask “does toothpaste get rid of pimples?” Use of toothpaste is one of the fastest ways to get rid of pimples naturally. The good thing about this process is that it does not just cure acne, but also remove black spots and marks on the face naturally. 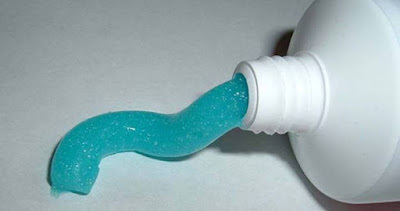 * First, in the morning, press some sizeable quantity of toothpaste on your palm. * Use the other hand to stir it in your palm. * Apply and massage it gently on your face then leave it for about an hour. PS: It is best you do this an hour before the usual time you do brush your teeth. * While the toothpaste solution is still on your face, you can brush your teeth. When washing up, wash the toothpaste off your face. Wash your face with plenty of water (the 1 litre of water in the bucket). * Dry your face with a clean piece of cloth or towel, and then apply the face powder. (Do rub powder regularly for fresher skin look). * Continue this process for three days and you would see the magic. 1. 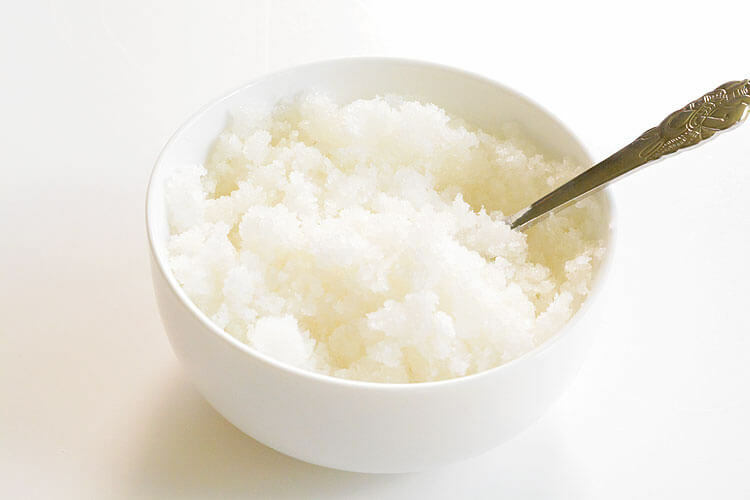 Sugar Scrub: A very smooth and easy to apply method is the use of sugar scrub to erase the pimple marks, and this method also lightens the skin colour, which leaves you looking radiant and elegant. You can make this scrub at home by taking 3 cubes of sugar, 1 tablespoon of honey, and 1 tablespoon of milk powder. Mix them together and scrub this on your face for few minutes and rinse it off after it has dried up for about 15 minutes. This is one sure home remedy to cure acne in a day. 2. 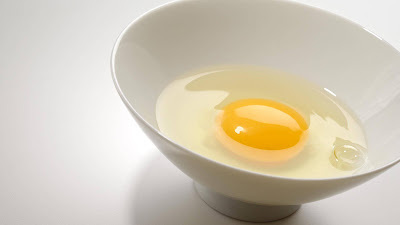 Egg Whites: This is one old technique that has been used to clear pimples marks and scars. If you have eggs readily available in your home, all you need to do is break a fresh egg, and separate the egg white from egg yolk. Use the egg white and apply it to your pimple marks. Keep it on your face for around 15 minutes and then wash off with cold water. This egg white is loaded with vitamins and proteins that help to regenerate new skin cells and fade out blemishes. 3. 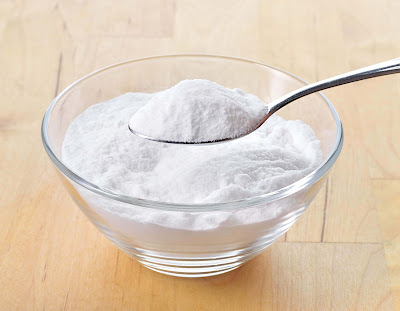 Baking Soda: This is another very smart element used for skin care. What you need to do is mix a few drops of water and a teaspoon of baking soda and apply this mixture to the face marks. Baking soda is a known agent that promotes micro-abrasion on the skin helping to clean out pimple marks. Keep the paste on your skin for about 10 minutes and rinse with cold water. 4. Tomatoes: Tomatoes which are loaded with Vitamin A and Lycopene are helpful to your skin in several ways. They rejuvenate, nourish, and even heal the skin by removing the scars. 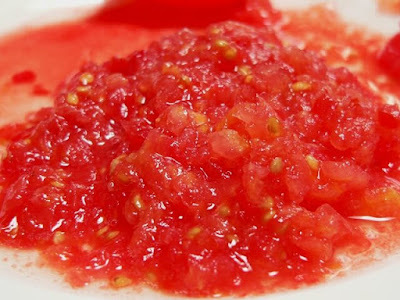 Apply the freshly made pulp of tomatoes on the pimple marks or your entire face. Leave it for about 20 minutes, and then wash it off with plenty of water. 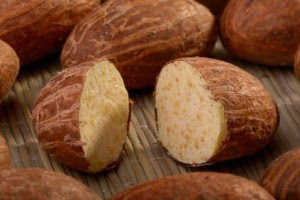 It will leave your skin glowing spotlessly. Avocados and cucumbers can also be mixed with the pulp solution before application. 5. 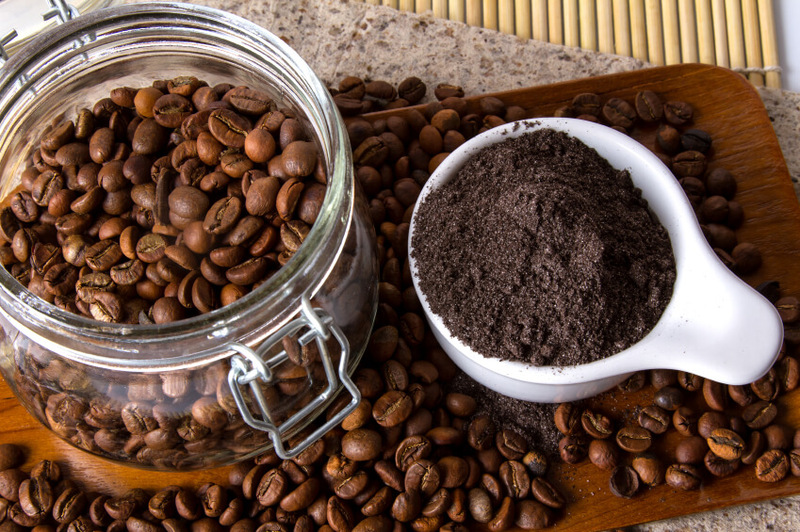 Coffee Scrub: The coffee grounds that you have left with at home after you filter the coffee in the cub can be the best exfoliating agent for your skin. 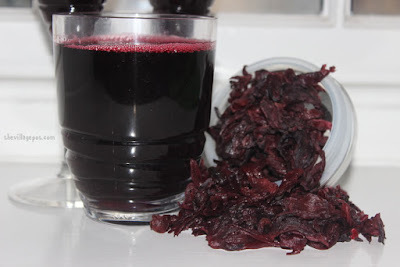 The benefits of this are that it removes pimple marks, fade out wrinkles and stretch marks, and also aide blood circulation. To use this method, take the grounded coffee remains and mix with your cleansing gel, and then apply it to your face. Coffee scrubs are widely available in the market as well as in cosmetic packages. You need to choose the best brand to get the effective results. Caffeine is considered a bad thing for the human body, but this product has a contrasting effect on the health of the skin. The coffee scrub is one of the best caffeine filled natural scrubs that leave you with flawless skin. Conclusion: The above mentioned natural home remedies to remove pimples on the face are very easy to prepare and apply, and the results are proven. Pimple treatment is something you can do in your home without visiting your dermatologist every time. You need time to see the desired result and note that they may not be as fast as other cosmetic products on the market.